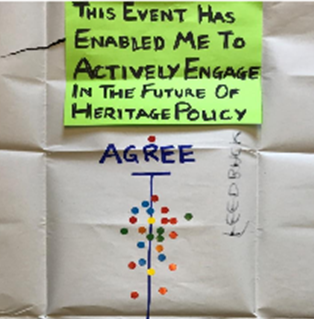 In March, Built Environment Forum Scotland (BEFS) held a lively workshop with stakeholders from across the sector to review Historic Environment Scotland’s Policy Statement (HESPS), ahead of the HES consultations and review to be held in 2018 and you can now read about the outcomes of the intensive workshop and the report online. The short narrative Report produced from the day is to highlight and summarise key changes, and challenges suggested for future HES Policy, by attendees throughout the process. The information gathered on the day has been precisely (where possible) transcribed and is presented via a table. At the end of the Workshop there were questions around what the next steps will be, particularly in relation to issues/actions which may be out-with the scope of HESPS. BEFS is keen to keep the existing momentum of these discussions. An event is now being planned for late May – details will be made available in the coming weeks.